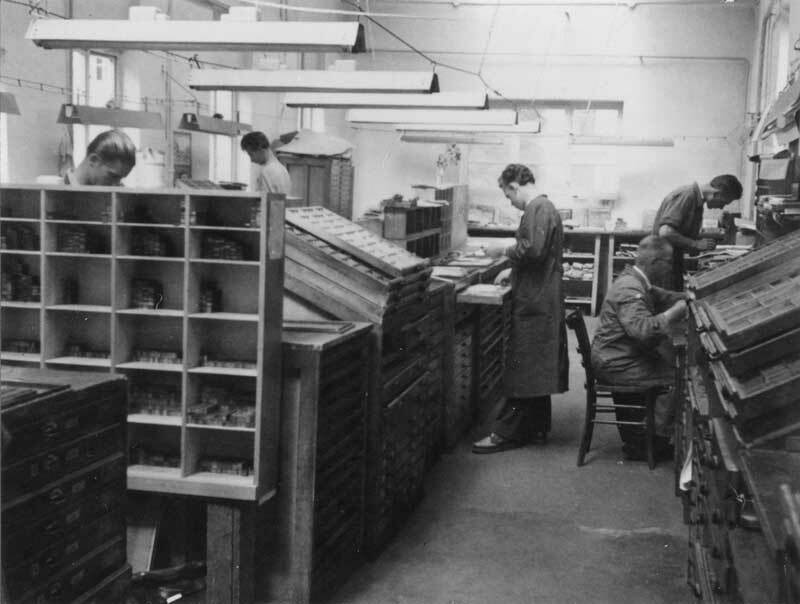 The success story of our company starts with the establishment of the book printer B. C. Heye & Co. in 1927. 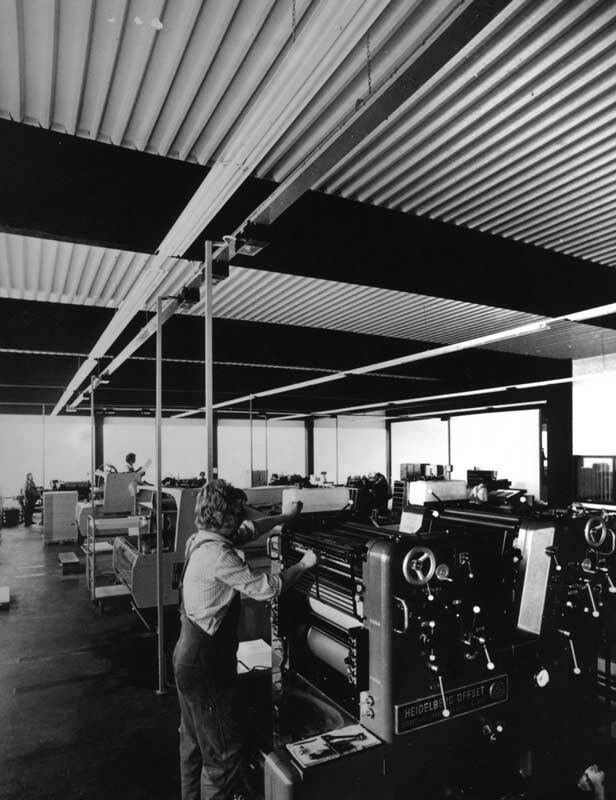 At first, we produce catalogues, journals and form sheets for companies and authorities. 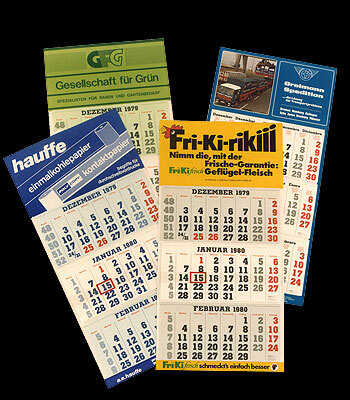 The company Unterweser Reederei AG Bremen requires a calendar different to any calendar previously known. Our employees develop the wall calendar, which will determine the history of our company from now on: The first 3-month-calendar is born: Three months at a glance containing all-important data, just hang it on the wall and everything is perfectly readable – even from a greater distance. The new monthly calendar is not only practical but also constitutes the perfect advertising vehicle for our customers with its illustrated advertising. The „Shipping Calendar“, as the 3-month-calendar is now called, quickly evolves to a complete success. The practical wall calendar with 3 months at a glance and large-size promotional message also becomes interesting for other industries, among others for the transport sector. We keep developing our invention further and further and at the end of the 50s, we launch further sizes and designs of our original 3-month-calendar on the market. The child needs a name. terminic! The shipping calendar from Bremen has long since become an appreciated planning instrument and advertising vehicle in the whole world. Moreover, the product name terminic introduced in the beginning of the 60s has developed to stand for high-quality 3-month-calendars. Therefore, we have the name registered as an international trademark. Apart from 3-month-calendars in various versions, we launch the 4-month-calendar with an even larger planning period of 4 months at a glance. ¬Our varied portfolio and our growing orientation towards the production of promotional calendars with multiple months at a glance makes us one of the leading calendar producers in Europe. 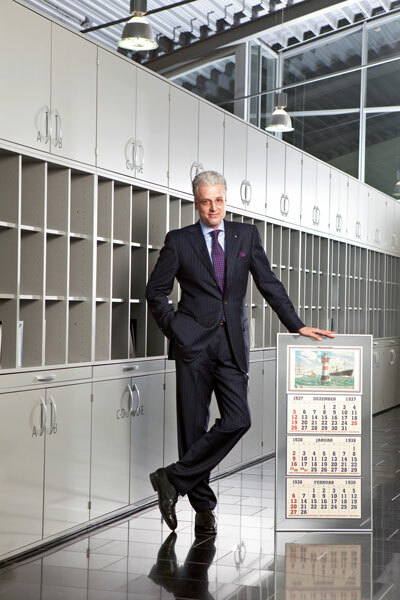 Wolfgang Rolla du Rosey takes over the responsibility as new managing director of the company from his father-in-law Rolf Ilg. In order to provide our customers with an even larger planning preview and prominent space for your promotional message, we start the production of the large-size 6-month-calendar with half a year at a glance. 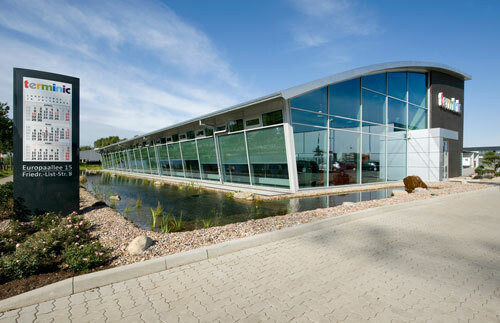 We proceed with big steps into the new millennium and name our company after our successful product, the terminic monthly calendar: The B. C. Heye & Co. becomes the terminic GmbH. As already the 4-month-calendar, the newly added 5-month-calendar perfectly adapts to the requirements of the time for even more planning security and preview of dates. In 2009, we also are the first to switch the calendar production exclusively to the use of FSC®- certified papers and cardboard from sustainable forestry. 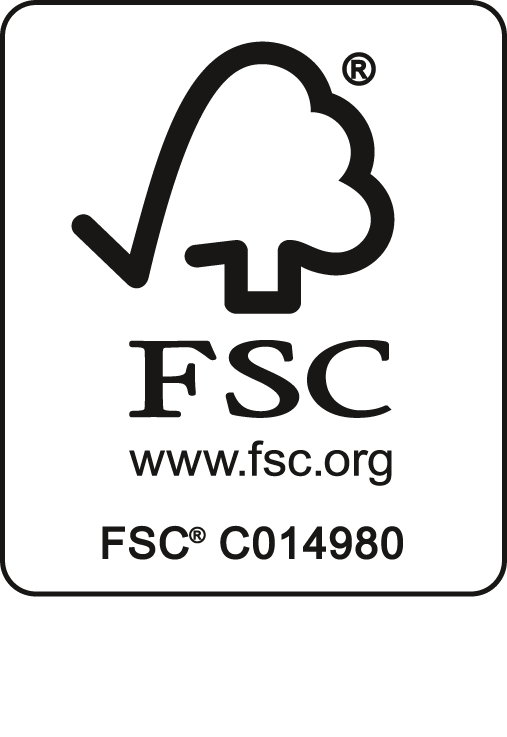 The terminic promotional calendars are FSC® certified (FSC®-C014980) respectively FSC®-Mix certified (GFA-COC-00819). The customs office classifies us as especially reliable and trustworthy: Therefore, terminic has received the status of an Authorized Economic Operator – AEO. Your benefit: As a result, your multiple-month-calendars arrive much faster at their destination – your customers, business partners and subsidiaries in the whole world. We expand our range of calendars and produce two desktop calendar models (the tent calendar focus and the horizontal desk calendar mega 1 and mega 2 with a lot of space for notes and dates) as well as poster calendars with planning across the years and a panorama promotional area in addition to wall calendars effective immediately. 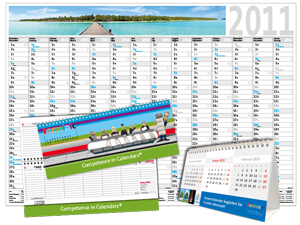 Thanks to our long-standing calendar competency, we provide our customers with an impressive selection of calendar models, sizes and versions. The unique variety of languages and diverse design and refinement possibilities make our monthly calendars the perfect advertising vehicle. From this year on, we also produce our promotional calendars completely personalized in the corporate design of our customers – the design possibilities are virtually unlimited. We exclusively use mineral-oil-free print colors for the print of the terminic promotional calendars. Furthermore, we have been carrying the logo „IPA reduced“ since 2012 because we print utilizing the principle of an absolutely minimized use of alcohol in order not to endanger the environment unnecessarily. 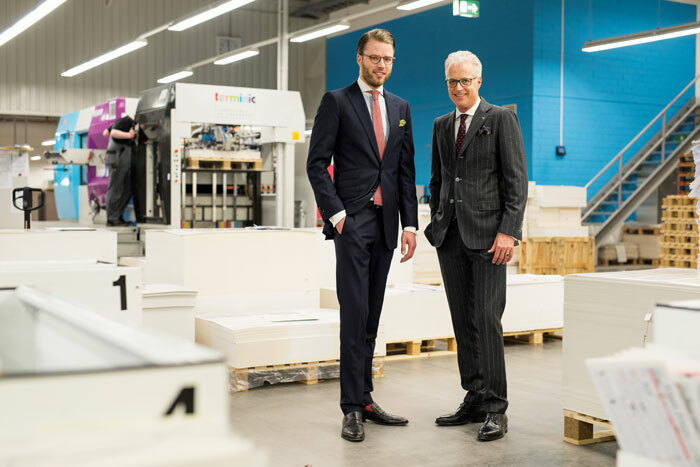 We continue our long-standing tradition as a family company: Huschke Rolla du Rosey, the eldest son of terminic’s managing director Wolfgang Rolla du Rosey joins the company and strengthens our sales team since the beginning of 2013. We live climate protection and try to act in a sustainable and future-oriented manner within the entire production chain. Therefore, we participate in the climate protection project GOGREEN of the Deutsche Post and balance the emission of greenhouse gases generated due to the transport of our promotional calendars. 1937 we invented the 3-month-calendar – now, we are the first to make the 3-month-calendar „mobile” and bring it to your smartphones and tablets as app. Same as with the print classic, the wall calendar, we also place great emphasis on a clear, concise operability and an extra-large planning period. 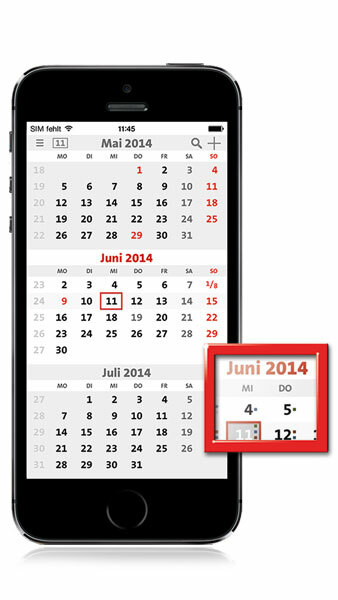 The mobile 3-month-calendar enables you to individually schedule your appointments. Among others, it provides you with a year view with zoom function, an individual search function and an integrated nationwide holiday calendar. Environmental protection is not only a global topic – it starts in your own environment, in everyone’s own responsibility. As the first company in Bremen, we assume tree sponsorships of the Bremer Umweltbetrieb in 2014 and thus enable planting of new trees in the streets of the district Hemelingen in Bremen. … is offered by our new wall calendar 2015: the space-saving 5-month-calendar super 1 Quintus, the 7-month-calendar super 1 SevenUp and the first 8-month-calendar in the entire world, the super 103 octo. For the close range – always ready to hand at your workplace – we develop the compact tent calendar focus. We have been offering the refined calendar models of the “super 2” series to our customers already for many years in a high quality display workmanship: Wall calendars with 3, 4 or even 6 months in a high-quality display workmanship. Now we go even further and demonstrate how creative calendars can be: With innovative refinement technics, such as stamping foils and lenticular printing, cold foil transfer including overprinting in the Euroscale, outstanding varnishes as well as diverse foil laminations, we supplement our range of services in 2015. In addition to our certification according to the Process Standard Offset printing method (ISO 12647), we also have been controlling our quality, process safety and adherence to the standards every quarter with the supplemental module PSOaktiv since 2016. The variety of languages for the calendar tables of our terminic monthly calendars is unique: Meanwhile, more than 35 languages and language pairs are available for our 3-, 4-, 5- and 6-month calendars. We dispatch our promotional calendars to every corner of the world, of course postage-optimized and if you request it, we dispatch in single packs. That is how we ensure that our promotional calendars are appreciated around the world and are kept in mind. 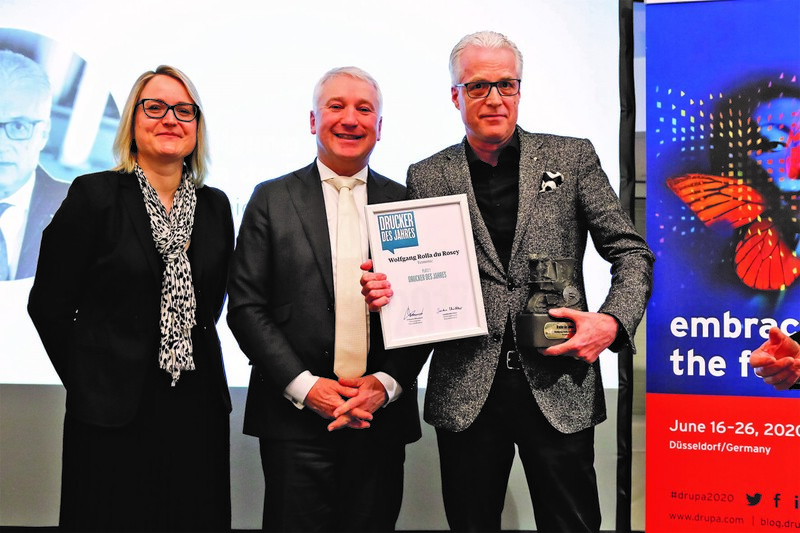 The readers of the German magazine „Druck & Medien“ vote Wolfgang Rolla du Rosey as Printer of the year 2017“. They specifically accentuate the: „high quality of the products, innovative thinking and the consistency of a traditional company“. Terminic sales director Huschke Rolla du Rosey is pleased as he is awarded the first place in the category „Junge Wilde“. The readers elect him due to his creativity, generating new ideas and his excellent customer relationship. We are grateful for both awards! 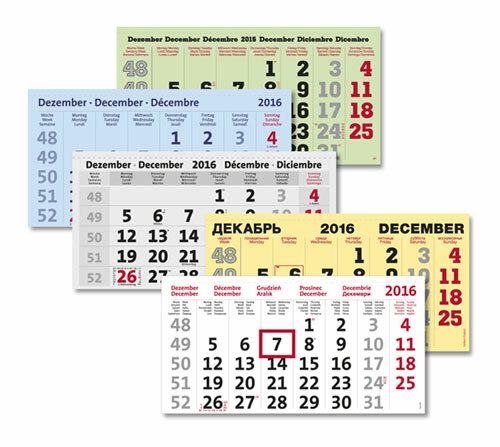 We expand our calendar assortment of the desk planner quadro. 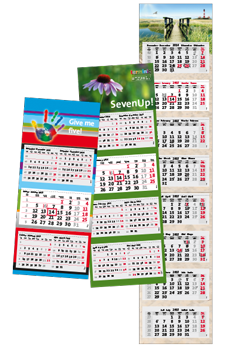 This planner is our convenient desk calendar made of strong card with a 4-month overview. The planner offers generous advertising space at the head and on the promotional strip and also a full page on the reverse. Manufactured in high quality as are all our promotional calendars from terminic. 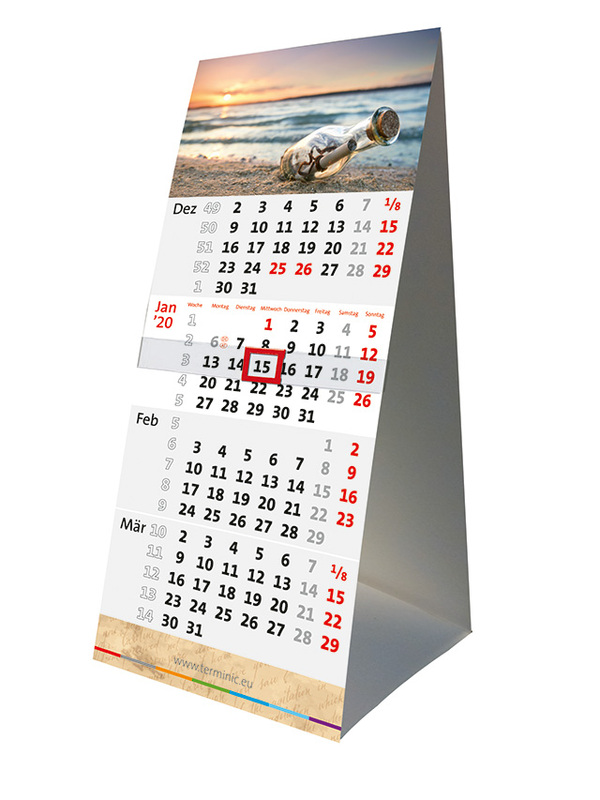 ORDER NOW PROMOTIONAL CALENDARS WHICH LEAVE A LASTING IMPRESSION! We tailor your promotional calendars from head to toe in your corporate design.